The Best Healthy Food blogs from thousands of top Healthy Food blogs in our index using search and social metrics. Data will be refreshed once a week. Also check out Top Healthy Food Youtube Channels list for Top videos on Healthy Food. 2.3 The Healthy Foodie - Easy Healthy Recipes that don't sacrifice taste in the least! 2.9 Fit Men Cook | Built in the Kitchen; Sculpted in the Gym. 2.17 Fit Foodie Finds - Where healthy meets delicious. 2.23 Inspiralized | A healthy food blog for spiralizer recipes. 2.27 Making Thyme for Health - Simple and seasonal vegetarian recipes. 2.39 Healthy Slow Cooking - Plant-based recipes your whole family will love! 2.59 Healthy Helper | Health, Happiness, Helping Others. 2.62 Super Naturally Healthy - Healthier & Happier & Still eating cake! 2.79 My Healthy Dish — Healthy recipes, diet, food and nutrition. 2.86 Hello Healthy Eating - Because eating healthy makes you happy! Healthy Food newsletter is a comprehensive summary of the day's most important blog posts and news articles from the best Healthy Food websites on the web, and delivered to your email inbox each morning. To subscribe, simply provide us with your email address. Oceanside, NY About Blog Run by Gina Homolka. Author of The Skinnytaste Cookbook; Light on Calories, Big on Taste. Facebook fans 4,231,353. Twitter followers 47,234. Utah About Blog Super Healthy Kids shares recipes, picky-eater strategies, and kid-friendly meal plans for families on a mission to eat fresh, healthy foods and gluten free recipes..
Facebook fans 3,330,424. Twitter followers 17,990. 3. The Healthy Foodie - Easy Healthy Recipes that don't sacrifice taste in the least! Quebec, Canada About Blog Hundreds of nutritious, tasty and easy healthy recipes proving that cooking healthy meals at home doesn't have to be boring or complicated! Facebook fans 362,568. Twitter followers 3,451. United States About Blog Traditional diet and holistic wellness blog. The Healthy Home Economist is a blog of refuge from modern nutritional dogma using Traditional Wisdom as the guide. Facebook fans 158,561. Twitter followers 11,094. Idaho, United States About Blog Here you'll find a variety of recipes - most are simple, healthful, and family-friendly. Facebook fans 155,687. Twitter followers 792. About Blog Naturally Sweetened Fabulous Meals for a Healthier You! Facebook fans 327,561. Twitter followers 5,957. Chicago, IL About Blog Ambitious Kitchen is a food blog devoted to baking, healthy bites, and living ambitiously. I strive to create food that makes your soul and heart happy. Facebook fans 177,205. Twitter followers 7,249. 9. Fit Men Cook | Built in the Kitchen; Sculpted in the Gym. Kitchen. Gym. Bed. About Blog Healthy recipes for men and women that want to live healthier & active lives. No boring food here. Only creative, healthy eating on a practical budget. Facebook fans 377,772. Twitter followers 28,922. About Blog A healthy vegetarian recipe blog.They provide a mixed variety of main courses, snacks, and healthy drinks. Also, all recipes are marked if they are vegan, raw, gluten-free, sugar-free or whole grain. Facebook fans 136,122. Twitter followers 11,858. Facebook fans 121,380. Twitter followers 2,716. Los Angeles, CA About Blog Thrive Market offers thousands of the best-selling healthy, natural products from your favorite brands at wholesale prices. Facebook fans 1,236,560. Twitter followers 30,818. About Blog Healthy, easy recipes with wholesome ingredients, cooking tips and food news to help you create awesome meals from scratch! Facebook fans 706,084. Twitter followers 3,733. Facebook fans 149,524. Twitter followers 14,108. Milwaukee, WI About Blog Find recipes that are wholesome, affordable and most importantly a recipe blog with healthy, easy recipes that anyone can make and everyone will love! Also find mostly healthy, use minimally processed ingredients, and focus on incorporating seasonal produce, healthy fats, and whole grains. Facebook fans 181,040. Twitter followers 7,988. 17. Fit Foodie Finds - Where healthy meets delicious. Minneapolis, MN About Blog Fit Foodie Finds is a blog devoted to healthy living where an attempt is done to find balance in every day life. Fit Foodie Finds focuses on promoting a healthy and balanced lifestyle through delicious and beautiful recipes, challenging workouts, travel, and everything in between. Facebook fans 250,842. Twitter followers 8,505. Des Moines, IA About Blog Delicious and approachable gluten-free recipes made with everyday, in-season ingredients. Facebook fans 88,089. Twitter followers 15,304. Texas About Blog Healthy Eats is a food blog for those trying to eat healthier but still want to enjoy that occasional cookie. Using Fresh Ingredients to make Easy Healthy Recipes, Easy Dinner Recipes, and Quick Easy Dinner Ideas that are Family Friendly. Facebook fans 58,084. Twitter followers 3,992. Austin, TX About Blog A healthy, seasonal, whole foods cooking & lifestyle blog by Jeanine Donofrio and Jack Mathews. Facebook fans 50,042. Twitter followers 14,427. Washington, DC About Blog A healthy food blog with hundreds of easy wholesome recipes including gluten free, dairy free, paleo, low carb, vegetarian and vegan options. Run by Kelly Gellner. Facebook fans 376,788. Twitter followers 9,429. Boston, MA About Blog Lexi's Clean Kitchen is a Healthy Food Blog with healthy recipes to nourish your life! Recipes with the ultimate goal being to help others achieve a balanced lifestyle, full of whole foods and free of limitations! Facebook fans 187,955. Twitter followers 22,025. 23. Inspiralized | A healthy food blog for spiralizer recipes. Jersey City, NJ About Blog A food blog dedicated to everything spiralized, including zucchini pasta. Facebook fans 91,184. Twitter followers 8,520. Washington, USA About Blog Here you'll find tasty recipes that promote a healthy lifestyle, along with fitness tips. Facebook fans 111,530. Twitter followers 7,904. About Blog Learn first-hand how the food you eat each day directly impacts your life and health. Browse recipes made with nutrient-rich ingredients that taste GREAT! Facebook fans 16,877. Twitter followers 3,844. About Blog The Healthy Maven is about eating real and unprocessed food, getting creative in the kitchen and leading an active and balanced lifestyle. Many of the recipes you find on here gluten-free and dairy-free with some vegetarian, vegan and paleo recipes in there too. Facebook fans 24,650. Twitter followers 4,139. 27. Making Thyme for Health - Simple and seasonal vegetarian recipes. Northern California About Blog Run by Sarah. The main focus of my blog is to share approachable and seasonal vegetarian recipes to inspire a healthy lifestyle. Facebook fans 11,544. Twitter followers 1,481. Facebook fans 31,253. Twitter followers 23,765. Facebook fans 65,894. Twitter followers 4,497. Indianapolis, IN About Blog The food adventures of a married couple in Indianapolis. A food blog. Facebook fans 16,463. Twitter followers 5,834. Sacramento, CA About Blog Everyone should be able to cook delicious, healthy vegan food without spending a fortune. Facebook fans 169,388. Twitter followers 14,214. London About Blog My Fussy Eater is a UK kids food blog packed full of healthy eating recipes and fun food ideas that even the pickiest of eaters will love. Facebook fans 166,818. Twitter followers 3,958. BOURNEMOUTH | IBIZA | KENT About Blog Hi, I’m Nancy Fox. Welcome to Skinny Kitchen, where delicious food can be part of a healthy lifestyle.My recipes are decadent comfort foods we all love but with a twist, they’re SKINNYFIED! If you’re looking to cook healthier or you’re following SmartPoints, Gluten-Free, Paleo, Dairy-Free and such, I’ve got you covered. All recipes include nutrition facts and SmartPoints. Facebook fans 90,864. Twitter followers 7,529. ATX | CHI | DAL | HOU | PHI About Blog Healthy eating and healthy living tips delivered daily from Snap Kitchen. We're fresh, healthy take-away! Facebook fans 22,011. Twitter followers 7,135. New York, California About Blog We believe if you can change the way you eat, you can change your life. So we’ve made it our mission to make it easy to make good choices by creating wholesome, nutritious meals that taste amazing. Facebook fans 157,243. Twitter followers 10. CT About Blog A healthy living food blog with hundreds of healthy and delicious recipes made with real, whole ingredients, mostly gluten-free. Facebook fans 15,350. Twitter followers 4,048. Nashville, TN About Blog A food blog with simple and fun recipes that are mostly plant-based, vegan, healthy, and with the occasional indulgence. Facebook fans 4,641. Twitter followers 1,051. Washington, DC About Blog Registered Dietitian blogging about healthy recipe creation, running, travel, and more. Facebook fans 9,977. Twitter followers 18,417. 39. Healthy Slow Cooking - Plant-based recipes your whole family will love! Durham, NC About Blog A vegan blog dedicated easy, healthy food that your family will love. Also has some gluten-free, no added oil and soy-free options and modifications for most recipes. Facebook fans 27,525. Twitter followers 3,479. Facebook fans 56,595. Twitter followers 19,116. New Jersey, USA About Blog A healthy food blog filled with easy and tasty recipes with Mediterranean twist run by Tania Sheff. Facebook fans 22,924. Twitter followers 44. New York About Blog The Clever Carrot, creator of easy recipes and creative tips for the everyday kitchen. It's delicious made simple. Facebook fans 15,072. Twitter followers 772. San Francisco Bay Area About Blog Follow this blog for: - The healthy (low calorie, high nutrition) vegetarian and vegan recipes that even meat lovers will enjoy! - Restaurant reviews with amazing pictures of food 🙂 Run by Anjali Shah. Facebook fans 8,777. Twitter followers 3,520. Facebook fans 17,620. Twitter followers 13,555. London About Blog The Healthy Food Guide blog brings you expert views on the health stories hitting the headlines, nutritional nuggets from top dietitians and exercise updates from our fitness gurus. Facebook fans 26,229. Twitter followers 24,537. Sacramento, CA About Blog Welcome to Healthy Nibbles & Bits, where I share my favorite simple, colorful, and healthy dishes. Using fresh and minimally processed ingredients, I show you how eating healthy can be easy! Facebook fans 8,327. Twitter followers 1,223. CA About Blog Created by Kevin and Annmarie Gianni, Renegade Health is a multi-media production company that strives to educate the public about true health and wellness, to empower people to take action in improving their own lives and the communities in which they live, and to have fun in the process! Facebook fans 3,365. Twitter followers 238. New York, NY About Blog Browse hundreds of Gluten Free healthy recipes and wellness tips from food writer, chef, and competitive French fry eater Phoebe Lapine! Facebook fans 4,424. Twitter followers 6,434. New York, NY About Blog Food Heaven Made Easy is a online source for healthy recipes and nutritious living. It deals with Healthy cooking and other lovely things. Also making this world a healthier place, one meal at a time. Facebook fans 22,097. Twitter followers 3,722. Sunshine Coast, Australia About Blog Healthy Eating Programs & Food Education. Take control of your health and vitality with education and real food. Learn how to change your habits today! Facebook fans 150,900. Twitter followers 2,870. Manchester, UK About Blog Nadia's Healthy Kitchen is helping individuals live a healthy lifestyle. Sharing healthy, clean, gluten-free, dairy-free, vegan savoury & sweet recipes. Facebook fans 12,156. Twitter followers 2,550. Sydney, Australia About Blog One Handed Cooks is a baby and toddler food blog that inspires people to cook beautifully simple, healthy food for their baby, toddler and primary school aged children. The recipes are all quick and easy to make, leaving you one free hand to wipe a nose, give a cuddle, or feed a hungry child. Facebook fans 141,059. Twitter followers 924. Facebook fans 12,796. Twitter followers 3,771. Facebook fans 18,872. Twitter followers 1,636. Hampshire, UK About Blog Making healthy food fun for children. Eats Amazing aims to share ideas and inspiration for making healthy food fun and interesting for children, with a particular focus on bento-style packed lunches. Facebook fans 151,358. Twitter followers 6,063. London About Blog They use whole, organic, nutrient-filled ingredients to create delicious recipes free of grain, gluten, and refined sugar. Authors of our international bestselling cookbooks The Art of Eating Well and Good Simple launched our hugely popular Hemsley Spiralizer. Facebook fans 73,975. Twitter followers 70,954. Facebook fans 27,747. Twitter followers 936. 59. Healthy Helper | Health, Happiness, Helping Others. Buffalo, NY About Blog A healthy living blog dedicated to fun fitness, nutritious food, and everyday inspiration to guide you on your path to wellness! Facebook fans 4,472. Twitter followers 4,683. Dublin, Ireland About Blog Run by Indy Power. My cooking isn’t about giving up things, least of all taste. It’s about embracing natural, nutritious and nourishing foods. I’m constantly experimenting to develop new recipes and put a healthy twist on some old favorites. My recipes are nutrient-rich, gluten free and refined sugar free, with many paleo, dairy free and vegan options. Facebook fans 36,977. Twitter followers 3,993. Salt Lake City, UT About Blog This is my journey to happiness ~ without diets, calorie counting, or restricting! Find out how I have been able to eat the foods I love, stay healthy, and truly love my body. Click through for a free cheat sheet that will get you on your way to health, happiness, and freedom! Facebook fans 14,565. Twitter followers 2,748. 62. Super Naturally Healthy - Healthier & Happier & Still eating cake! Facebook fans 17,168. Twitter followers 918. Vienna About Blog Bavarian Chef Thomas Sixt is showing his German, Austrian, Bavarian and international Recipes. Get a lot of Ideas for great Food with preparing tipps from a star chef! Facebook fans 2,670. Twitter followers 338. Queensland, Australia About Blog Georgia is a naturopathic doctor and mom of two who is devoted to blogging about nourishing recipes and 'freestyle cooking' using fresh, local and seasonal foods. She also offers fantastic resources about building a whole foods pantry and raising healthy babies, toddlers and children. Facebook fans 46,441. Twitter followers 298. Sydney About Blog The Fit Foodie blog is a hub for all things healthy, fit, stylish, aspirational and influential. Sharing my passion for wellbeing and fitness, my mission is to give women the information and inspiration to feel nourished and happy and Nutritious versions of your favourite treats, devised with your health goals AND taste buds in mind. Facebook fans 14,199. Twitter followers 1,756. Seattle About Blog Simply Real Health, Inc by Sarah Adler is a healthy lifestyle company on a mission to educate, teach and inspire others to live a happy & more energized life, with a fresh and simplified approach to healthy eating. Facebook fans 9,399. Twitter followers 1,210. Hamilton, Ontario, Canada About Blog I’m Allison Day, a cookbook author, writer, editor, & food stylist based in London, UK & Canada. This blog features healthy, vegetable-focused recipes using seasonal, fresh ingredients with beet that are gluten-free, dairy-free and allergy-friendly. Facebook fans 3,858. Twitter followers 1,687. Edinburgh, Scotland About Blog Kellie through her Food to glow blog shares original, colourful, globally-inspired recipes using whole, natural ingredients and also healthy, plant-heavy recipes with an occasional decadent twist. She is an cancer health educator, healthy recipe developer and food blogger, food photographer, food writer etc. but Food to Glow is mainly recipe chat and amateurish photos of what I'm cooking for family, friends and work. Facebook fans 1,983. Twitter followers 3,224. About Blog We teach busy moms our meal planning system so that they can make healthy family meals, no matter how hectic and crazy life gets! Facebook fans 58. Twitter followers n/a. About Blog No sugar, No butter, No nasties allowed! Facebook fans 11,963. Twitter followers n/a. About Blog To bring you healthy recipes, clean eating, nutrition and fitness tips, and beauty and fashion inspiration. Every single recipe, article and health tip is designed to enable you to reach your highest health and beauty potential, and I prepare, cook and photograph each recipe myself. Facebook fans 55,266. Twitter followers 69,570. Los Angeles About Blog Meet Megan Roosevelt, your Registered Dietitian and Healthy Grocery Girl! At Healthy Grocery Girl, our mission is to provide nutrition education, resources and inspiration and help people embrace healthy eating as fun, delicious and realistic. Facebook fans 19,935. Twitter followers 2,775. Vancouver, Canada About Blog Busy But Healthy by Kristine Fretwell. Quick, easy & healthy recipes. Weeknight meals, kid friendly, low sugar, high protein, gluten free, dairy free. Fitness information and motivation. Facebook fans 21,198. Twitter followers 9,545.
india About Blog healing nourishing food every day...Run by Sangeeta Khanna. Facebook fans n/a. Twitter followers 1,207. Rochester, NY About Blog We support healthy and active lifestyles with products made from high quality real food. We make the best muesli cereal by finding the perfect balance of nutrition and taste. Located in Rochester, New York, Muesli Fusion was created to increase the variety and health of options available for breakfast. Facebook fans 1,585. Twitter followers 1,433. Glasgow, Scotland About Blog A healthier recipe and active lifestyle blog with quick healthy recipes helping you stop endless dieting for life by living the 80/20 way. Facebook fans 1,156. Twitter followers 290.
austin, texas About Blog Food and fitness of a 20-something young professional sans time and money. Facebook fans 410. Twitter followers 561. 79. My Healthy Dish — Healthy recipes, diet, food and nutrition. San Francisco About Blog The main mission of Myhealthydish is to offer free healthy recipes that are simple and delicious. On Myhealthydish.com you will find healthier alternatives to the dishes you love and be introduced to new foods that you might have over looked before. Facebook fans 37,957. Twitter followers 5,124. Nashville, TN About Blog Lemons and Basil is dedicated to healthy recipes made from nutritious, organic, whole-foods and ingredients and a clean, simple lifestyle. Run by Kaylee. Facebook fans 1,261. Twitter followers 296. Mumbai, India About Blog Be it a busy morning or a lazy evening, hunger pangs in between the meals is well known to all of us. Amidst the crowd and chaos of the Junk and unhealthy food around us, a healthy –wholesome choice for snacking wise, is what we yearn to bring to you. Health is the wealth we promise every time you E.A.T. Facebook fans 23,374. Twitter followers 115. Facebook fans 503. Twitter followers 10,482. Manchester About Blog High protein, gluten-free, low/no added sugar and healthy versions of sweet desserts, cakes and bakes, along with meals and snacks is what SpamellaB is all about. Facebook fans 1,106. Twitter followers 7,363. About Blog Health Nut blog is all about discovering natures best food. Preparing food using the best that nature has gifted. Facebook fans n/a. Twitter followers 258. Melbourne, Victoria About Blog Hey, I'm Lilian. I eat well and exercise regularly because I like to feel fit and healthy. On this blog, you'll find lots of easy recipes, nourishing meals, healthy treats, lifestyle hacks, beauty tips and information about my fitness regime. I hope you enjoy! Facebook fans 5,455. Twitter followers 78. 86. Hello Healthy Eating - Because eating healthy makes you happy! About Blog Hello there! My name is Cailee. I live a happy, busy life and I'm a 'little bit' obsessed with health and nutrition. I'm gluten, dairy, and soy intolerant, but I still seek to eat a balanced diet... everyday. Facebook fans 293. Twitter followers 91. 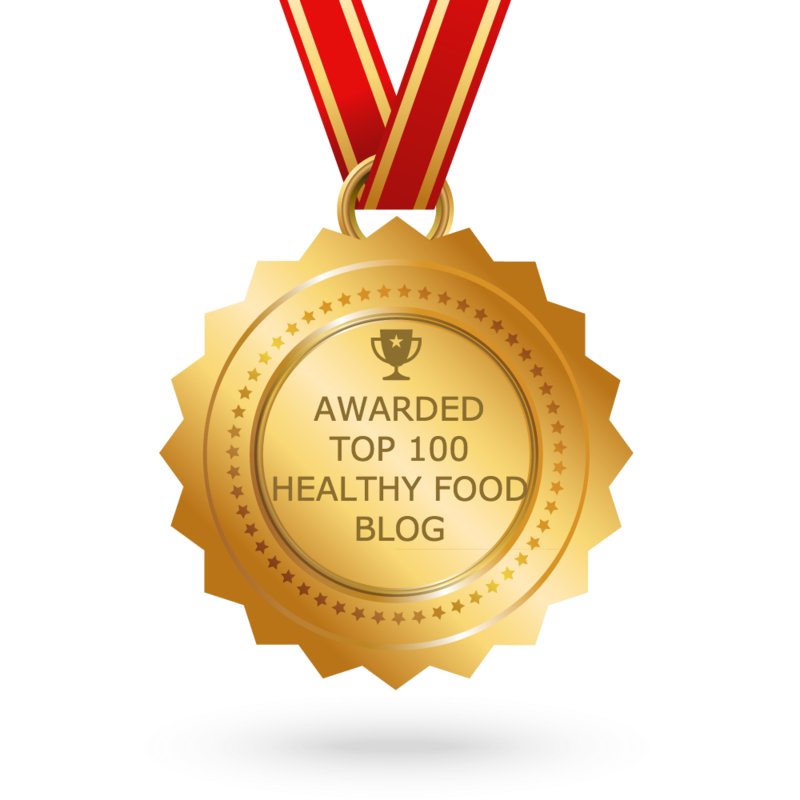 CONGRATULATIONS to every blogger that has made this Top Healthy Food blogs list! This is the most comprehensive list of best Healthy Food blogs on the internet and I’m honoured to have you as part of this! I personally give you a high-five and want to thank you for your contribution to this world.